In February, 2010, Curtis Cord renamed a personal blog, where he tasted various olive oils encountered on his travels, to Olive Oil Times. With writers and contributors in olive oil-producing regions around the world providing timely news and information for olive oil enthusiasts, chefs and food industry participants, Olive Oil Times has become the international publication of record for the sector, and an indispensable source of unbiased information for consumers and professionals alike. Olive Oil Times is an online publication that is constantly being updated with the latest news and features. It is not a magazine that comes out, for example, once a week. We do, however, send out a weekly bulletin that contains links to the most recent articles. To subscribe to the free weekly email, go here. Olive Oil Times is committed to delivering the highest editorial and ethical standards in its reporting of events of interest to our readers around the world. Olive Oil Times is independent of any outside interests. Our editorial decisions are influenced neither by political or commercial pressures nor by any personal interests. We strive to be fair and open-minded by exploring the range and conflict of views. We will be objective and even-handed in our approach to reporting on a subject. We will respect privacy and will not infringe it without good reason, wherever in the world we are operating. Private behavior, correspondence, and conversation will not be brought into the public domain unless there is a clear public interest. 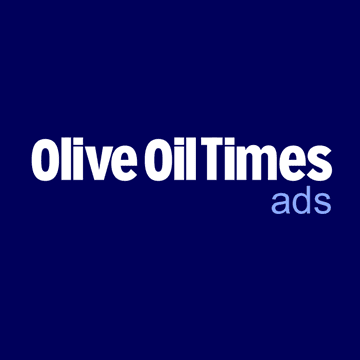 Olive Oil Times is a member of the Online News Association, the world’s largest association of digital journalists. ONA’s mission is to inspire innovation and excellence among journalists to better serve the public. Olive Oil Times operates under a strict policy of impartiality. Olive Oil Times receives no support nor contributions of any kind from any outside company. Its only revenue is through banner advertisements at standard rates that are publicly posted, and no preference is given as to the placement of banner ads. This policy, in place since day one, ensures unbiased and objective reporting, as well as the fair administration of associated activities including the New York International Olive Oil Competition and the Olive Oil Times Education Lab. Olive Oil Times does not endorse any olive oil olive oil brand, or any company whatsoever — and never has. If you have an article that you believe would be interesting to our readers around the world, you can tell us about it by clicking on the live support button below to start a conversation with our support team. Please do not propose articles about your company’s new products or services or other promotional material. Have more questions about olive oil? Ask Ollie. If you are an experienced journalist and would like to write for Olive Oil Times, please start a conversation with our support team. Olive Oil Times is dedicated to maintaining a respectful community that actively engages in lively discussions about news articles and commentary. Please keep the following in mind when writing your comments. Respect Others – Please be polite to all the members of our community, including other commenters, authors and the subjects of articles. Safe Space – Olive Oil Times should be a safe and welcoming space for all individuals, groups and their ideas. As such, any rudeness, insults, hate, hostility, or negativity may be removed and you may lose your ability to comment. All Olive Oil Times articles and site content are strictly protected by copyright laws and may not be reproduced without written permission. If you would like to request permission to publish an article for educational purposes, please contact our support team. To direct your question to the staff of Olive Oil Times, please start a conversation with our support team. For thousands of years liquid gold has been produced, traded, and cherished, but much of the world is only now becoming acquainted with olive oil as an integral part of a healthier way of life. With global production approaching 3 million tons, olive oil is branching out beyond the traditional places, and investments are pouring into new olive oil operations just about anywhere in the world olives can grow. New World techniques of high-density farming and mechanical harvesting mark an industry revolution, while the traditional methods and old farms maintain their relevance to consumers increasingly looking into the provenance of their foods. 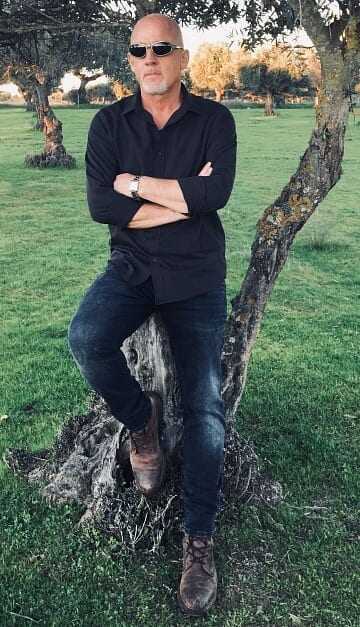 The story extends from the Himalayan foothills to the low plains of Argentina; the mangled roots of ancient groves to the neat rows of modern farms; production so small it doesn’t extend beyond family members to those that fill hulls of giant tankers steaming across oceans. Behind every bottle at the farmers market or the discount chain there are people dedicated to their own approach to an ancient craft. It’s hard to imagine a more disparate group than producers of olive oil today, except for the commitment they share to succeed in this field. More producers are striving to produce high-quality extra virgin olive oil in response to consumers who are seeking the best products for their families. Competitions led by the NYIOOC World Olive Oil Competition are making it easier than ever for people to find the best olive oils in the world. The time to welcome olive oil into our lives has arrived. In places with such unique cuisines as India, Mexico and China, governments faced with the high costs of health problems associated with the use of saturated fats are urging the use of olive oil. All of this creates a fascinating subject rife with contrasting angles, conflict and humanity. Olive Oil Times is the most-read source of news, reviews and analysis on this fascinating story. Our growing staff of expert contributors in every olive oil producing region provide timely information for consumers, industry professionals, olive oil enthusiasts and the curious public. And we’re just getting started. Just like this ever-evolving subject, we’ll never stop looking for new stories and innovative ways to share them with you. It takes just a few minutes to reach the highly educated, worldwide readers of Olive Oil Times with your product or service. The International Culinary Center and the Olive Oil Times Education Lab will present the next edition of the Olive Oil Sommelier Certification Course January 20-25, 2019 in London. Space is limited. Sign up now for this world-renowned certificate program on olive oil quality assessment. Olive oil chemical and sensory analysis by the world’s leading labs is fast, easy and affordable. Curtis Cord began a personal blog in 2009 where he compared various olive oils he encountered on his European travels. Realizing the need for an independent publication dedicated to the far-reaching topic, in February 2010, he created Olive Oil Times. Maintaining a strict policy of journalistic independence, Cord has edited or written thousands of articles for Olive Oil Times, which has long held the position as the world’s leading source of olive oil news and information. Cord is regularly cited in the media as an impartial observer of the olive oil industry. In 2012, Cord launched the New York International Olive Oil Competition (NYIOOC), the world’s largest and most prestigious olive oil quality contest. Now in its seventh year, the contest draws 1,000 entries from 27 countries. Cord is the executive director of the Olive Oil Program at the International Culinary Center, a comprehensive series of courses spanning production, quality management, and advanced sensory assessment in New York, California and London. Cord also hosts the podcast program, On Olive Oil.